New NFL football season means new a fantasy football season which means, you got it, you needing to fix your team after the first week because all those hot sleepers you drafted went bust. No worries, I’m here to help with some waiver wire adds via my weekly Waiver Favors article! As usual, all pickups are available in at least 50% of Yahoo standard fantasy football leagues as of Sunday evening. We’ve all talked plenty about Carson Wentz and what the Eagles gave away to get him in the draft. First we thought he would sit behind Sam Bradford for a year while he learned the offense, particularly after sustaining the rib injury in the first preseason game. But after Bradford was traded away to the desperate Minnesota Vikings, who didn’t even need him to win the first game, Wentz was thrust into the spotlight. And all questions were basically answered. 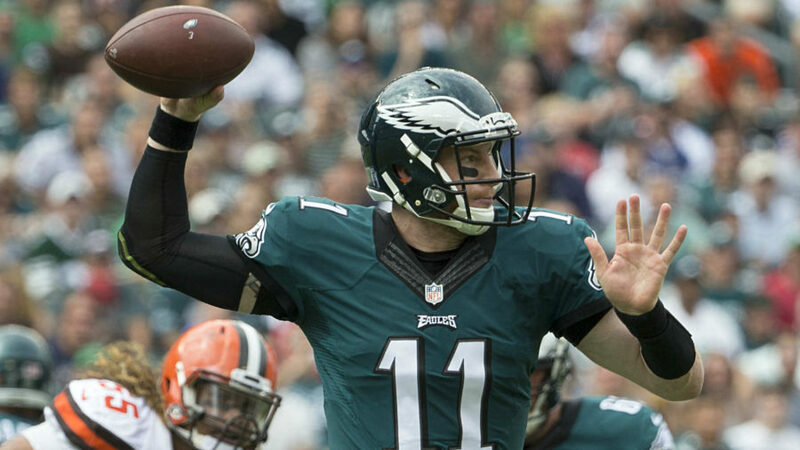 Wentz went 22 of 37 for 278 yards and 2 TDs in his first start, and showed significant command of the offense including a solid connection with Jordan Matthews. Yeah, it was the Browns, but Philly fans are probably ecstatic, and Wentz is worth a look as a QB2 in 12 team leagues or deeper. Yeah, I’m a little biased since Theo Riddick went to Notre Dame. But I’m not being biased when I suggest you take a look Riddick as your RB3/4. He’s been used in a change-of-pace role before, and he started out the first game of the season with 7 carries for 45 yards and a rush TD as well as snagging 5 of 5 targets for 63 yards a receiving TD. Don’t get too excited, the matchup was good against the lack of speed on the Colts defense, and Riddick won’t score TDs every week. But if you’re looking for a good backup for bye week use, he looks to be a significant part of the offense, and could really be helpful in PPR leagues. Remember this guy? It was OBJ before there was OBJ. 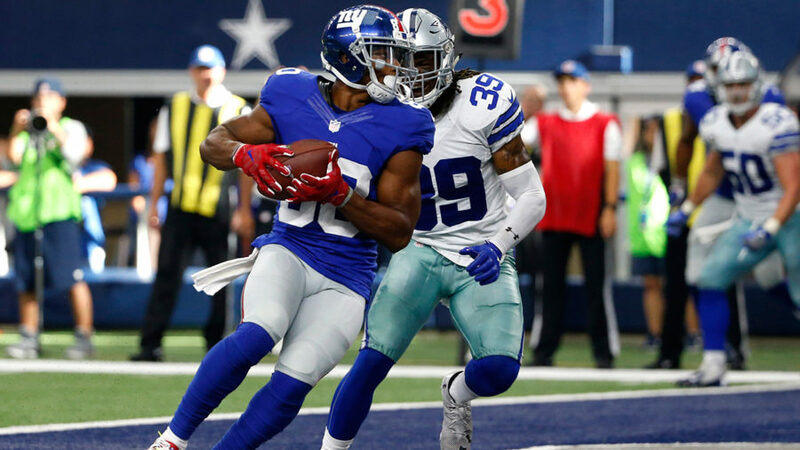 And Cruz looked great on his first game back since mid-2014 as he grabbed all 4 of his targets for 34 yards and the game winning TD. It was nice work, and demonstrated that he could coexist with OBJ. Well worth a look as a WR3 in 12-team leagues or deeper. 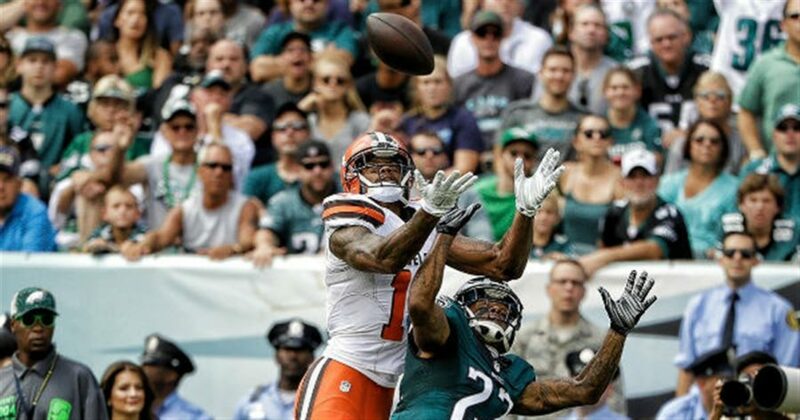 I’ve been hyping Terrelle Pryor for awhile, and even highlighted him in my Sleepers article. But that was the preseason and now is the real thing. And although RGIII let us down and then got himself injured, Pryor managed to grab 3 of 7 targets for 68 yards. It’s a great start for him, but if Josh McCown steps in next week for RGIII, it’ll be difficult to predict how Pryor will do. So if you need a flyer WR4/5 in 12-team or deeper leagues, he may be worth a look, but don’t expect too much. 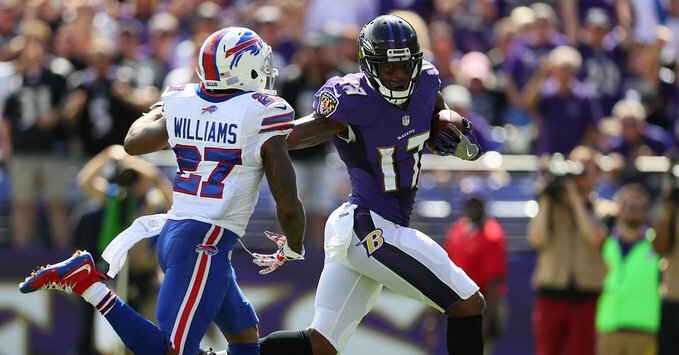 We all thought that Mike Wallace was done. He hadn’t had a 1,000+ yard season since 2011, he had declining years in Miami since leaving Pittsburgh, and hit rock bottom in Minnesota last year with just 473 yards and 2 TDs. But he appears to have found agood landing place in Baltimore, as he managed catching 3 of 6 targets for 91 yards and a TD while adding an 11 yard rush. I wouldn’t expect that every week, but 60-70 yards per week on 4-8 targets wouldn’t be unreasonable with an occasional TD. He’s had big seasons before, and I don’t see why he couldn’t do that again. Worth a look as a WR3/4 in 12-team leagues or deeper, or a stash for desperate folks in 10-team leagues. Unfortunately, Keenan Allen looks like he’s torn his ACL and is done for the season. So next man up would be Dontrelle Inman. He didn’t do much in this game, and he only had 486 yards and 3 TDs last year, but there’s room for improvement, and Travis Benjamin and Antonio Gates can’t catch everything. Worth a flyer in 14-team or deeper leagues.